Following last year’s ‘Beast from the East’, Torbay and South Devon NHS Foundation Trust is looking for more volunteers to join their 4×4 Volunteer Driver Response Team which plays an essential role in supporting patients and staff during adverse/extreme weather conditions. The Trust already has around 50 4×4 volunteer car drivers on its books across Torbay and South Devon. However, the Trust is looking to recruit more people to join its ranks. Any local 4×4 drivers who are thinking of volunteering, or those who helped support last year, are urged to come forward by calling 01803 654600. In the event of extreme winter weather, the volunteers play a vital role in helping to keep local NHS services running across the community. The volunteers will help by taking staff to and from work as well as out and about to patients’ homes. They may even be asked to take patients (with no mobility problems) to and from hospital and treatment centres. Jonathan Taylor-Edmondson, Head of Safety, Security and emergency Planning for Torbay and South Devon NHS Foundation Trust, said: “When the snow hit in 2018 we couldn’t have run our services in the way that we did without the incredible support of all those people who came forward with 4×4 vehicles – we even had people with tractors helping! The volunteers really stepped up to the plate by helping us carry equipment and taking staff and patients to and from our sites during the difficult weather conditions. “As part of our business continuity planning, we are asking people who are confident and experienced 4×4 drivers to come forward and register with us. It means that if we get severe weather conditions again this winter we can call upon these people to help keep vital NHS services going. David Thomas is already signed up as part of the 4×4 Volunteer Driver Response Team. David said: “Further to the call for 4×4 volunteers last year to help out during the terrible winter snowy weather, I put myself forward and was delighted to be able to provide some assistance. “I am pleased that many of those that volunteered last year, as well as new recruits, are now being asked to formally come together to be on a register should bad weather come along again. 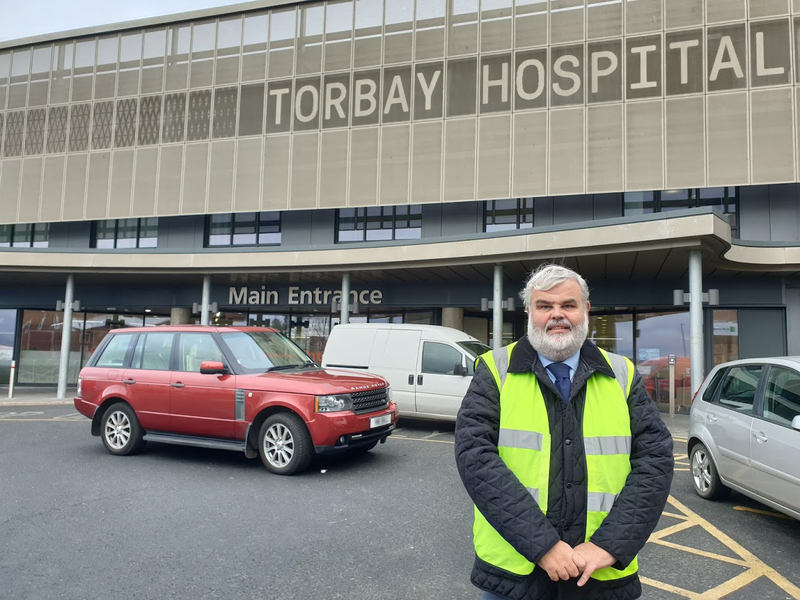 “We are all hopeful that the services of 4×4 volunteers are not required, but it should be reassuring to the Torbay and South Devon community to know that this resource is co-ordinated and is available should the need arise. Whilst the volunteers would be giving up their time, the Trust would pay their mileage and would provide refreshments during in any incident. Drivers will need to meet certain requirements in order to join the 4×4 Volunteer Driver Response Team. If you would like to ask more about this role please contact Christopher McCabe (Support Officer for Safety, Security and Emergency Planning Team) on 01803 654600.